I'm in the middle of packing swimsuits, cut offs, and not much else in our bags for Rochester. Robert is en route to Philly from Idaho, and just as soon as he lands we're cramming into the fiat and heading for home. It feels like all we've done is go-go-go lately, but 4th of July celebrations are more than worth another trek upstate. With little bits of wedding planning (we found our ceremony spot! ), and an engagement party next month I've been craving more time at home. We'll be spending the 4th of July on a lake, on my parents boat, which is making me the absolute happiest person just thinking about it. It didn't hit me, how much I missed Rochester summers until our last trip. Being at the lake is such a different feeling than the ocean. I love going to the beach here, but the lake is home, and upstate summers are damn near picture perfect. I sincerely hope your 4th is bursting with Americana, day drinking (if you're into that), hopefully some grilling and pie. There should always be pie. To prepare pork chop, trim excess fat and silver skin. Whisk together buttermilk, garlic powder, cayenne powder, salt and pepper. Marinate pork chop for at least an hour, up to overnight. Remove chop from buttermilk, drain slightly and dredge in breadcrumbs. In a large skillet over high heat (oil temperature should be around 350°) cook breaded pork chop for 3 minutes per side or until an instant read thermometer registers 145° at the center of the chop. To serve, pile into a brioche roll with slaw. In a large dutch oven, bring potatoes and water to a boil. Reduce heat and cook for 15 minutes. Remove potatoes and let cool at least 30 minutes. Meanwhile, in a small nonreactive bowl, whisk together greek yogurt, buttermilk, garlic, dill, and salt and pepper. Cut potatoes into rough chunks and pour buttermilk mixture onto them. Gently fold to combine. To serve, top with picked peas. In a skillet over medium heat, warm olive oil until shimmering. Add peas, garlic, and salt and pepper. Cook until peas change color and begin to brown, about 3 minutes. Remove from heat and add vinegar, sugar, pickling spice, and red pepper flake. Pour into a sealed container, cool, and refrigerate up to 72 hours. 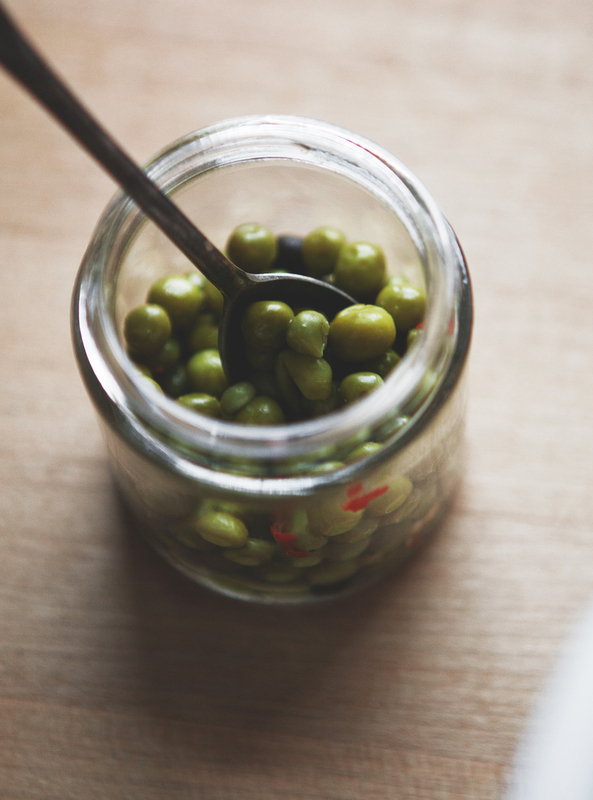 To serve, drain peas from pickling liquid. Combine flour, baking powder and salt in a large bowl. Cut in cold butter until a coarse meal forms. Add milk, and form into a round. Cover the round with plastic wrap and refrigerate for 1 hour. When ready to use, roll out the dough to fit your pie plate. Cover the dough with aluminum foil, and using baking stone to weigh it down, prebake the crust at 350° degrees for 10 minutes. Set aside to cool. 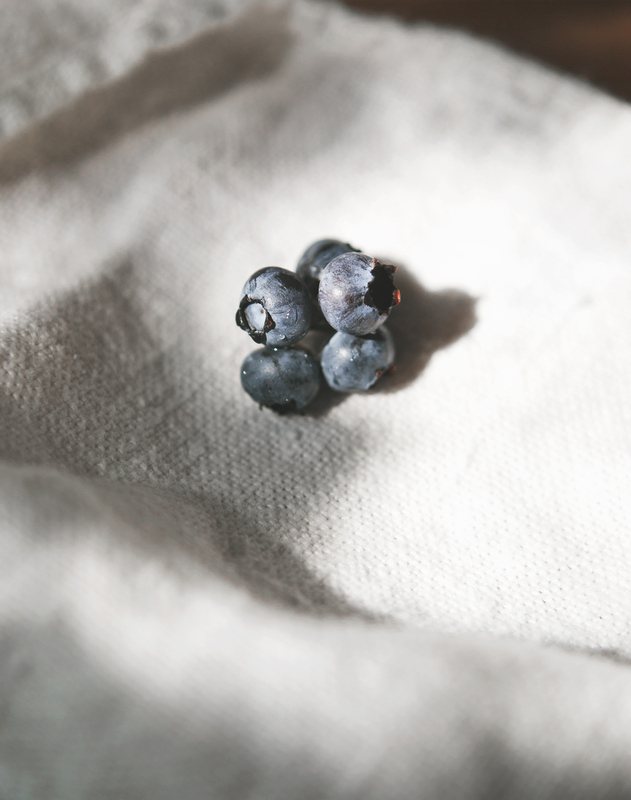 Combine all ingredients in a large bowl until the blueberries are fully coated. Let the mixture sit for an hour, stirring occasionally. Pour the blueberry mixture into the cooled pie crust, and top with meyer lemon slices. Bake at 350° for 45 minutes until the crust and edges of lemons have browned, cover the top of the pie with foil and continue baking for 10 minutes, until the blueberries are bubbling. Cool before serving.